TURBOCHARGE YOUR ONLINE BUSINESS LISTINGS! Fix your online listings everywhere. Start here! Use our FREE tool below to check to see how your business appears across the internet. 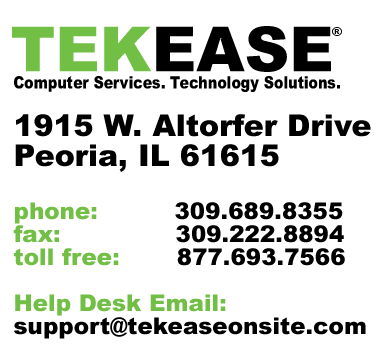 Then give us a call at 309.689.8355 to discuss how TEKEASE can quickly fix all your business listings. Find out instantly for free.